After the 2011 Tōhoku Earthquake and Tsunami, I participated in the TOMODACHI program in collaboration with Y-PLAN along with 300 other high school students to learn about city planning in Berkeley in the summer of 2012. While I was thinking of how I can apply my learning to my life in Japan, I realized how unaware I was of the obstacles and challenges of my own hometown back in Fukushima was facing. From then, my interest in city planning and development grew. 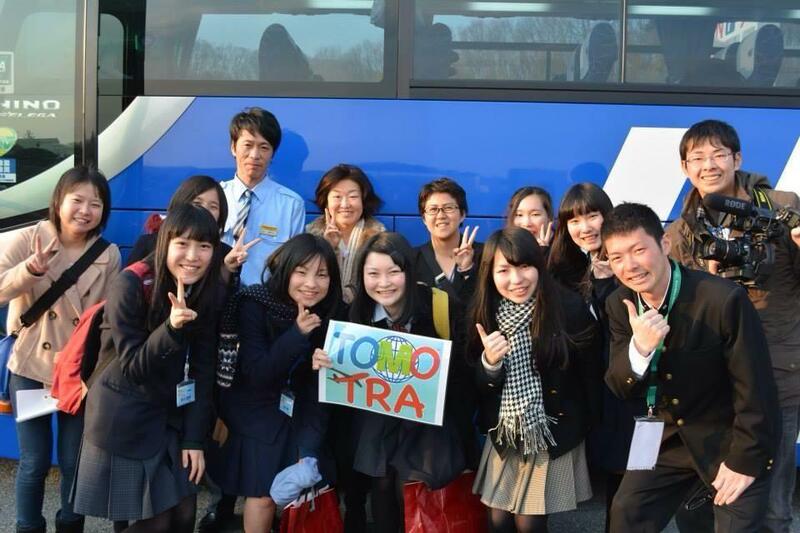 With a team I assembled during the summer, I returned to Japan and started to give bus tours, in collaboration with Japanese travel agencies. As high school guides, we planned and held tours to stabilize the economic stability of my city Iwaki while showcasing its tourist attractions and the affected areas. In preparation for these tours, I discovered wonderful hideouts and met people who made up my community that I would have never found.During the tour, many of the guests cried telling me, “Thank you for showing us the realities of the disasters.” Those words have never left me, and they motivate and push me to strive to create more change and impact. Iwill talk about this in a later post, but this was also the background of me choosing my college and major. Now, after 5 years, I have returned to Berkeley, wanting to go back to my roots of city planning, more ambitious than ever. It was like a dream come true that I was able to study with Y-PLAN at UC Berkeley again. From June until now, I worked with Japanese high schoolers through the TOMODACHI Y-PLAN, and with Richmond high schoolers with their Y-PLAN program. It was interesting to be able to compare and contrast, looking at the similarities and differences between the Japanese and American Y-PLAN programs. At our program site in Richmond, high school students’ main focus of learning was several of Y-PLAN’s conditions, which overlapped with the environment of Fukushima. First, both places were highly damaged. Fukushima was hugely affected by an accident in the nuclear power plant. Not only was their land damaged but the citizens’ health was also affected by radioactivity. Richmond city had a huge fire from a Chevron refinery and many people faced health problems. Although both cities were damaged in different ways, but I want to strongly emphasize the connection I found between these areas; that people in these affected areas have been trying to encourage the local area, people, and industries. Secondly, compared to cities like Tokyo and San Francisco, public transportation was not well developed. Thus, driving is the main transportation tools for people who live in both Fukushima and Richmond. Through participating with the Tomodachi Program and Y-PLAN, my heart was moved by finding great similarities and interests between two places that were so far from each other. Also, by thinking about my hometown, Fukushima, how the young generation and I are going to help encourage the place, people, and their lives, I realized it would be possible to adapt our ideas of the "action plan" for Richmond as well. I encountered different obstacles in this idea-creating process, as a TA now compared to 5 years ago as a student. As I look back, I think I have come a long way from when I first became interested in Y-PLAN and I am proud of how I’ve reached my current self, building my one path. Time flew by way too fast, and even though I will return to Japan at the end of this year, I would like to apply all of my experiences throughout these past few months and achieve my dreams of revitalizing my hometown.